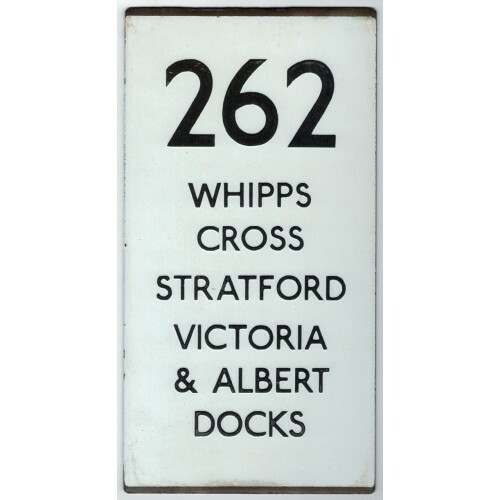 This auction is for an enamel London Transport Bus Stop double vertical e plate for Route 262 Whipps Cross Stratford Victoria & Albert Docks. Route 262 ran between Chingford and Stratford via Walthamstow, Leyton, Whipps Cross and Leytonstone. It is in very good condition with just minor surface marks and edge wear (see photo).